Home » Weight Watchers Recipes » What’s The Best Way to Eat for Diabetes and Weight Loss? What’s The Best Way to Eat for Diabetes and Weight Loss? Confession: I read two New York Times articles recently that left me both angry and confused about the best way to eat for diabetes and weight loss and further reinforced The Big Diabetes Lie. The first article exposed how the sugar industry paid scientists in the 1960s to play down the link between sugar and heart disease and promote saturated fat as the culprit instead. After the manipulated research was published in the prestigious New England Journal of Medicine, the debate about sugar and heart disease died down, while low-fat diets gained the endorsement of many health authorities. You can read the entire article here, How The Sugar Industry Shifted The Blame to Fat (NYT) and check out a followup video from PBS at the end of the post. The second was an editorial from last Sunday, Before You Spend $26,000 on Weight Loss Surgery, Do This. Two medical directors of well respected university-based obesity clinics shared their dismay at suggestions from the medical community that bariatric surgery should be a standard option for diabetes treatment, while not recommending a far better, safer, cheaper alternative – restricting carb intake. …When someone has diabetes, he can no longer produce sufficient insulin to process glucose (sugar) in the blood. To lower glucose levels, diabetics need to increase insulin, either by taking medication that increases their own endogenous production or by injecting insulin directly. 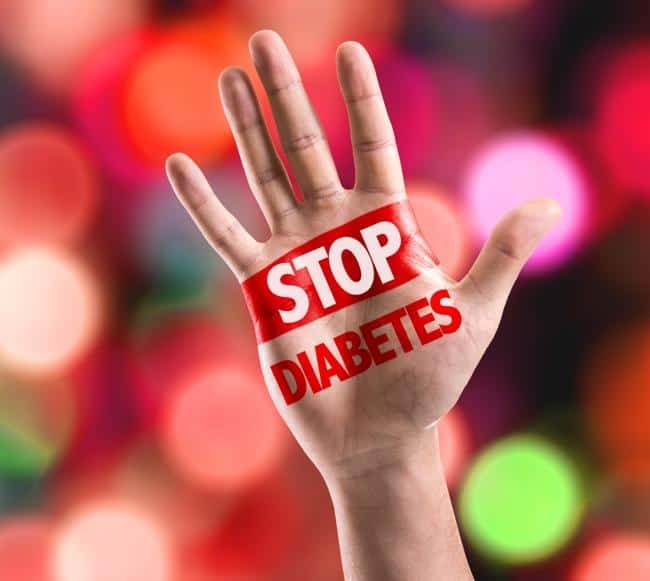 A patient with diabetes can be on four or five different medications to control blood glucose, with an annual price tag of thousands of dollars. Glucose is the breakdown product of carbohydrates, which are found principally in wheat, rice, corn, potatoes, fruit and sugars. Restricting these foods keeps blood glucose low. Moreover, replacing those carbohydrates with healthy protein and fats, the most naturally satiating of foods, often eliminates hunger. People can lose weight without starving themselves, or even counting calories. Most doctors — and the diabetes associations — portray diabetes as an incurable disease, presaging a steady decline that may include kidney failure, amputations and blindness, as well as life-threatening heart attacks and stroke. Yet the literature on low-carbohydrate intervention for diabetes tells another story. For instance, a two-week study of 10 obese patients with Type 2 diabetes found that their glucose levels normalized and insulin sensitivity was improved by 75 percent after they went on a low-carb diet. At our obesity clinics, we’ve seen hundreds of patients who, after cutting down on carbohydrates, lose weight and get off their medications. One patient in his 50s was a brick worker, so impaired by diabetes that he had retired from his job. He came to see one of us last winter, 100 pounds overweight and panicking. He’d been taking insulin prescribed by a doctor who said he would need to take it for the rest of his life. Yet even with insurance coverage, his drugs cost hundreds of dollars a month, which he knew he couldn’t afford, any more than he could bariatric surgery. Instead, we advised him to stop eating most of his meals out of boxes packed with processed flour and grains, replacing them with meat, eggs, nuts and even butter. Within five months, his blood-sugar levels had normalized, and he was back to working part-time. Today, he no longer needs to take insulin. A low-carbohydrate diet was in fact, standard treatment for diabetes throughout most of the 20th century, when the condition was recognized as one in which “the normal utilization of carbohydrate is impaired,” according to a 1923 medical text. When pharmaceutical insulin became available in 1922, the advice changed, allowing moderate amounts of carbohydrates in the diet. Can you see how what the sugar industry did to influence nutritional science back in the 1960s is still reverberating decades later? How it helped to fuel the obesity and diabetes epidemic we are experiencing today? Does reading this make you as upset as it does me? I’m angry that I was intentionally duped into believing that bagels and low-fat muffins were better breakfast choices than eggs and gave me license to excessively fuel my already intense carb-cravings. What if I had been fed the truth? Might I have avoided decades of struggle with my weight? What about all those suffering from obesity and diabetes? What the heck is the best way to eat for Diabetes and Weight Loss? Be Sure to Check Out the Big Diabetes Lie! Why Isn’t Low Carb the Standard Recommendation for Treating Diabetes if It’s the Best Approach? It makes me sad when I realize how many people are subjected to dangerous medications and surgeries, when simple dietary and lifestyle changes could be just as or more effective, with so much less risk. Status quo is hard to change. The low fat diet was a huge unscientifically substantiated experiment on millions of people that failed miserably. Money. There’s a lot of money to be made from keeping us sick. The specialty guideline panels making the recommendations are stacked with conflict of interest. Where can you turn for reliable nutritional guidance? Authority Nutrition provides daily articles about nutrition, weight loss and health. Here’s a link to Authority Nutrition’s archive of articles about Low Carb Diets. But, because each of us is unique, it’s important to stop blindly following the “experts” guidelines and instead trust ourselves and test for ourselves what works and what doesn’t. To find our own best way to eat for our current circumstance. You Need to Find the Best Diet for You! I long ago began the process of ending my battle with food and trusting myself. It hasn’t always been easy. It’s so tempting to get swayed by the latest attention grabbing nutritional headline. The more I pay attention to my body and less to external guidelines the better I feel. I regularly consume way more SmartPoints than the Weight Watchers Program suggests while maintaining a weight nearly 10 pounds under the goal I set over 20 years ago by doing what works best for me. Every time I make it a priority to cut back on sugar and grains, I lose weight easily and feel great. I’m much less achey and clear headed. But, because I like sweet treats, I’m prone to avoid this truth. I like how my body feels when I occasionally practice intermittent fasting thanks to everything I learned about its benefits in Eat Stop Eat. I’ve also learned that I need to eat enough FAT. When I cut back on CARBS and FAT, I end up constantly hungry and feeling like crap. There’s a lot of truth in The Big Diabetes Lie. If you need more convincing about the power of low carb eating for diabetes, here’s another video in which Jay Wortman, MD, tells the story of how he got rid of his rampant type 2 diabetes, using a simple dietary change. Ten years later he is still free from the disease and needs no medication. I am so impressed by you and your practice of sharing. This is so refreshing and overwhelming that you care so much for your readers. Thank you, thank you. I am your eternal fan.